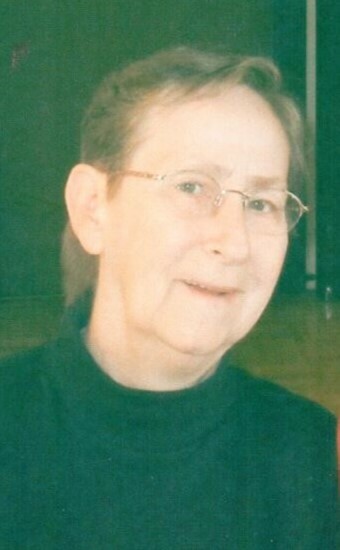 Beatrice J. Nelson, 75 of Fort Atkinson, passed away on Friday, April 12, 2019 at Wellington Meadows of Fort Atkinson. Beatrice was born on July 3, 1943 in Jefferson Co., WI the daughter of Alvin “Doc” and Lola (Hale) Eilenfeldt. On April 22, 1961 she married Raymond Nelson in Jefferson Co. and couple had a son, Danny. Beatrice’s interests included playing cards, crocheting and she was a master quilt maker. Beatrice is survived by: her son Dan (Bridget) Nelson of Palmyra; siblings Lucile Rummary of Fort Atkinson, Gloria Radloff of Lake Mills, and Lynn Eilenfeldt of Texas. She is also survived by a number of other relatives and friends. She is preceded in death by her parents, husband, and siblings Carol Wilke and Ken Eilenfeldt. A celebration of Beatrice’s life will be held on Sunday, May 5, 2019 at the Jefferson VFW from noon until 3:00PM. She will be laid to rest at Aztalan-Milford Cemetery. There's still time to send flowers to the Memorial Gathering at the Endl-Gruennert C.M.H. VFW Post 3589 of Jefferson at 12:00 PM on May 5, 2019.